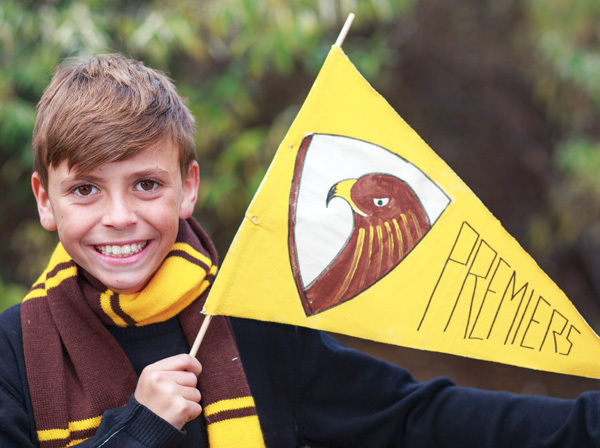 An easy and fun project for students to celebrate their favourite footy teams this AFL season! Fold a Calico Flag in half and mark the middle point on the edge without the seam. Rule lines from the middle point to the opposite corners. Cut along these lines to create a triangle shape. 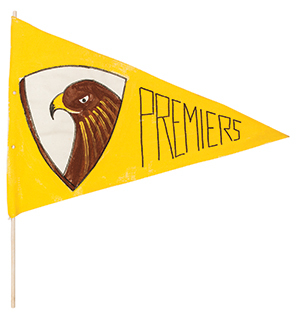 Use a pencil to draw your design onto the flag. Apply a coat of paint in the colour of your team to fill in the background. Allow to dry. Use markers to add details and outlines to the design. Insert a Dowel Rod into the seamed edge.